No matter what position you hold in society the same thoughts are going through the minds of all. The troubled economy and sustaining our living environment is at the top of the list for most folks around the world. Saving money, while protecting the environment, presents new challenges when shopping for fashions to decorate the abodes. With so much waste and cost it is a balancing act to find cost effective, interesting items that are sustainable and beautiful. 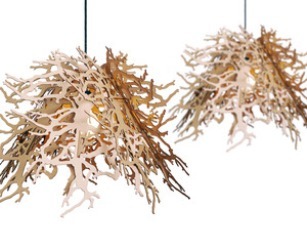 Perhacs is here to assist in decorating and accessorizing fun with exciting, sustainable, and inexpensive décor. Every item is American made on Bainbridge Island in Washington USA and designed by Brandon Perhacs. 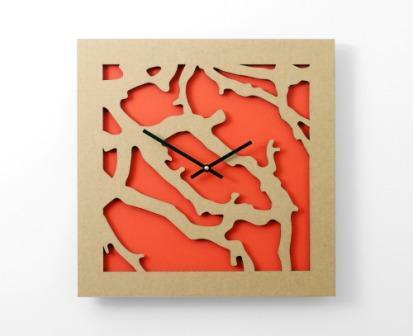 Clocks are constructed from recycled cardboard and paper and renewable materials; all with quartz movements. 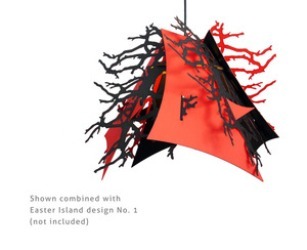 Abstraction pendant light; “made up of 8 laser-cut “leaves” that, when put together form a beautifully contemporary sculptural light. All of the “leaves” are interchangeable with the other colors and shapes in the series, allowing many different creative designs.” The pendant lights are available in different sizes and shapes to complement any décor. 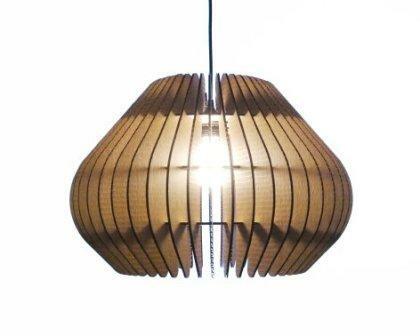 rasterMORPH pendant light; “made up of 48 laser cut slats. When put together they form a beautiful three-dimensional design. All of the slats are interchangeable with the different shapes in the series, allowing many different creative designs. 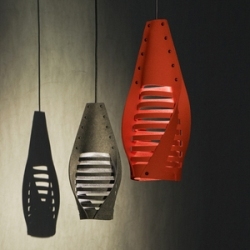 There are four lights in the rasterMorph collection to choose from and play with. 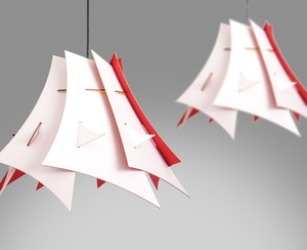 The Squib; Pendant light made of 100% merino wool felt. It comes with long lasting warm LED bulb. 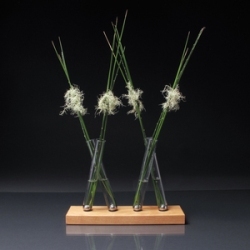 Adaptation; “finely crafted vase that invites a unique approach to flower arranging. 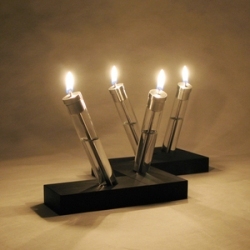 It is designed with 4 magnets set in a wood base, plus 4 glass tubes and 4 stainless steel spheres. The base is made from wood sustainably harvested locally from Bainbridge Island where Perhacs Studio is based.” There is also a version with a base that is machined from a solid piece of aluminum, which has grained and anodized for a striking and durable finish. There is no need to give up on design or quality when looking for affordable and sustainable furnishings. Products are 100 percent American made. 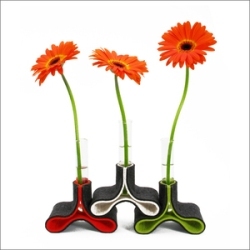 They are designed by an innovative artist trained in Environmental Design. All of Brandon Perhacs’ pieces are functional works of beautiful art that add an impact on the abode’s décor while helping to sustain the environment. A beautiful décor will evolve from creativity coupled with ingenuity and environmental awareness. Art is all around us; take in the inspiration from nature. Be at peace with your décor and never be afraid to dance! Great Site.. I really like your writing style.